The Santa Cruz Event Center is the largest facility available for rent in Santa Cruz County and is therefore a popular venue for trade shows, horse shows and equestrian events, weddings, dances, quinceañeras, concerts and festivals. Before 2011 all facility rental information was only available by fax, mail or by visiting the event center in person. The goal of this project was to make available online all pertinent information for each rental location including price, amenities, detailed floor plans for caterers etc., and other available equipment rentals. This has saved the office staff many hours on the phone answering repeat questions from prospective renters and has streamlined the distribution of basic information. 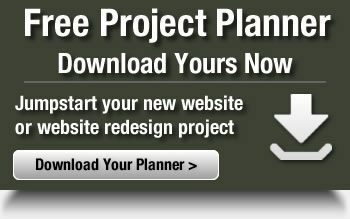 A bilingual/ Spanish language translation of this website is coming in the near future. Update! 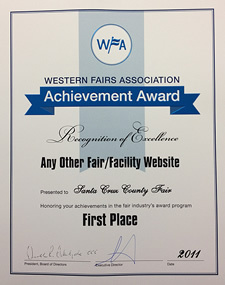 The Santa Cruz Event Center website won 1st place in the Fair/ Facilities division at the Western Fair Association 2011 annual gathering.